Actually we are a consulting, inspection, urban farming, foliage based architecture,intelligent crop supplies and training facilitator body, offering specialized sustainable solutions to individuals, professional groups and corporations within the fresh produce and agro supplies trade industry creating value through people, and for people, all driven by a brand-centric philosophy. Although the headquarters of the Group are located in Thessaloniki, Greece, with additional advocacy office operating in Crete, Greece, the activities are conducted principally in Balkan and Southeast Mediterranean Countries (Greece, Romania, Bulgaria, Serbia, FYROM, Bosnia, Montenegro, Albania, Cyprus, Egypt and Turkey). 2014 is a year of evolution of the activities of the Group. After 5 years of contacts and visits with companies and organizations from Korea and Australia the time has come for the expansion of the territory avtivities. 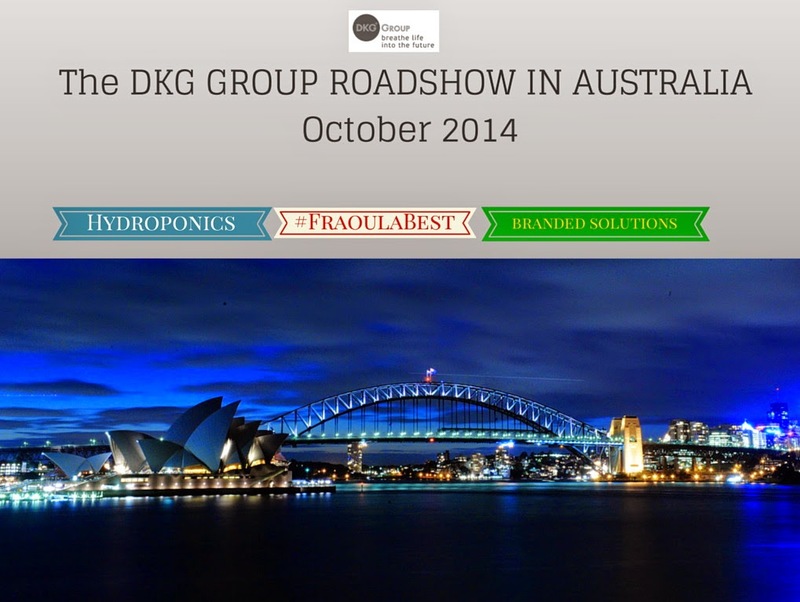 During October 2014, Mr. Evagelos Drimtzias, President of the DKG Group will visit various places in Australia in order to explore the possibilities of collaboration with many Australian based companies. The areas of importance will be the Branded Solutions, hydroponic application, Total Greenhouse Management and Training needs.